Hello all, I hope you are well. Things have been a little crazy around here since Poppy arrived but I wanted to take the time today to tell you about the Make-Up Removal Wipes by Waterwipes. I'm also very excited to give two of my readers the chance to win a freakin years supply! Before I tried Waterwipes Facial wipes I was very anti-wipe when it came to removing my make-up. Other wipes I've tried have left my skin looking red, stinging and feeling dry. The reason these wipes fair out much better on my skin is because they are made using just three skin friendly ingredients - purified water, dead sea minerals and grapefruit seed extract. These facial wipes are perfect for on the go while travelling and they are especially great after a late night out when you haven't got the energy to be messing around with lotions and potions. This is where the fun begins! WaterWipes have given me the oopportunity to host a giveaway for you. I have a years supply of facial wipes to give away to two of my readers. To enter follow the instructions below and good luck. This time last year Benefit launched a new product called "They're Real" Push Up Liner. It was the first lash hugging gel liner pen with it's patent-pending accuflex tip. No other brand had a product like it and it received mostly good feedback as it made applying eye liner a doddle for those who usually steered clear. It also became popular for its jet black colour and 24 hour staying power just like it's sister product the "They're Real" Jet Black mascara. Some people didn't warm to the product so well because they found it hard to remove. It stayed on so well that Benefit brought out a waterproof eye make-up remover product which costs €19.50. The eye-liner pen costs €25 so I can see why some would not want to then pay more for another product to remove it. One year on and Benefit have only gone and done it again with another exciting launch of the same push up liner gel pen in the colours Beyond Purple, Beyond Blue, Beyond Green and Beyond Brown. Just in time for summer these new colours will be available to buy in shops this July. Beyond Purple - I found the consistency of the Beyond purple liner different from the original Black liner launched last year. It's creamier and not as pigmented so I found I had to do two coats. It's dark purple, which does make it more wearable for everyday but I was hoping for something fun and brighter for that pop of colour. Beyond Blue - Again not the same consistency as the black. I found it creamy and hard to reach the same effect as I would so easily with the Jet Black liner. Navy in colour, again very wearable but doesn't have that wow factor. To quote my good friend Miss Hanna "For the people who like blue but aren't 16"!! I still have some growing up to do because I would have loved this a little brighter! Beyond Green - Things are getting a little better with the liner in beyond green. Although I found this liner also creamy in consistency it was a lot more pigmented so as long as I took my time applying it I didn't have to re-apply another coat over it but still not happy that I couldn't just bang it on like the jet black liner. Beyond Brown - Saving grace! I love the liner in Beyond brown. 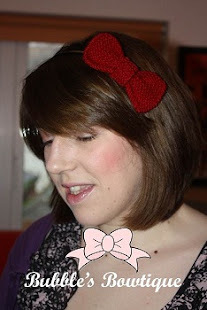 It's perfect if you want a warm look, especially if you have blue eyes. Perfectly pigmented and dries in seconds just like the Jet Black liner. The gel liner pen is so simple to use. You simply twist the base to push up gel to the tip, Then slowly guide the tip along your lash line and create the desired effect you want. Less product for a subtle look that will create the effect of bigger looking eyes in seconds or go more dramatic and add a flick for that cat eye effect. It doesn't stop there! Benefit have also launched "They're Real" Mascara in two new shades, Beyond Blue and Beyond Brown. They will also be available to buy in shops in July and cost €26 each. They have the same domed brush which allows you to reach those iddy biddy lashes and create that false lash effect without the spider legs. I haven't tried Beyond blue yet but I found Beyond Brown excellent for adding volume and length. It also provided a long lasting colour and complemented the Beyond Brown Push up Liner well. There you have it, the new products to enter into the Benefit "They're Real" family. For my own personal preferences I'm mostly impressed with the push up liner and mascara in Beyond Brown. Will you be trying any new products from this collection? Let me know in the comments below. 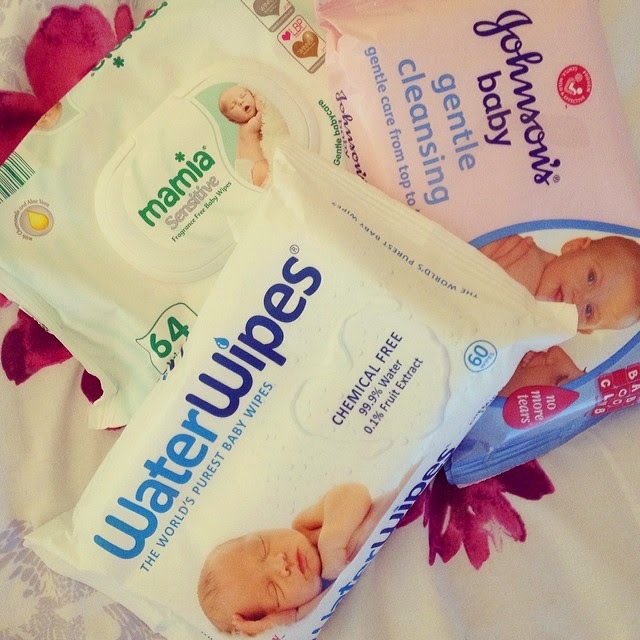 I took to my Facebook and Instagram pages recently to ask my readers their opinions on different baby wipe brands used by thousands of parents on a daily basis here in Ireland. I never thought I would get the response that I did and thought it would be a good idea to share some of those comments with you here on my blog. I myself have been stocking up on baby products in preparation for the arrival of my baby girl who is currently two days over due, little madam! I have also received baby products from family and friends. I'm just so overwhelmed with the amount of products available and of course want to use only the best, this is why I asked for your opinion and was delighted with the feed back I received from my readers. Readers comments on Johnsons Baby Gentle Cleansing baby wipes - €2.99 (Boots) €1.50 (Supervalue) for a pack of 56 wipes. I have to say I was taken aback by the comments above. Johnson's claim to provide gentle cleansing care from top to toe. Their wipes contain the famous No More Tears moisturising baby lotion which is made of 97% water so in theory they should be mild and gentle but it appears my mammy readers do not agree. Readers comments on Mamia Sensitive Fragrance Free baby wipes - 95c (Aldi) for a pack of 64 wipes. Mixed reviews on the Mamia sensitive baby wipes from Aldi. They contain aloe vera and chamomile to help keep babies skin soft and smooth but you never know how your little ones skin will react to ingredients like this no matter how nice they sound. If they are suitable for your little babies skin then you have to agree they are pretty fantastic value for money at 95 cent a pack. Water Wipes contain 99.9% water and 0.1% Fruit Extract (citrus grandis seed) so I can see why they claim to be the worlds purest baby wipes on their packaging. At €2.99 a pack I can see were my readers are coming from on the price. Unlike Johnsons babies wipes you rarely see Water Wipes on special offer and with babies needing changing almost ten times a day you really are going to fly through wipes. I know you are not allowed to use baby wipes in hospital and it is recommended using just cotton wool and water at first. I also know that there are other wipes such as Huggies, Pampers and Lidl brand available so at the moment I do not know which ones I will end up using. After my mammy readers comments I am not too keen on the idea of using Johnsons baby wipes. I have about six packs bought already and will use them for general cleaning around my home so they don't go to waste. I will have to see what baby girls skin will be suitable for when the time comes. 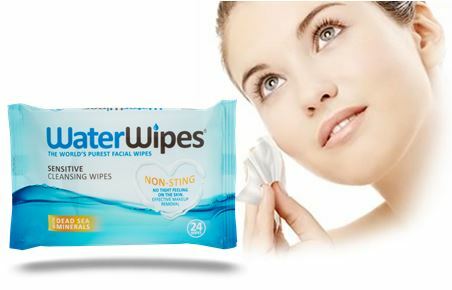 After reading all your comments Water Wipes seem to be the clear favourite even though they are the most expensive. Thank you all for your feedback, if you have yet to share your favourite baby wipes I would love to hear your thoughts below in the comments section.